I love these DIY Glasses made by my sweet cousin Sara for my birthday gift. 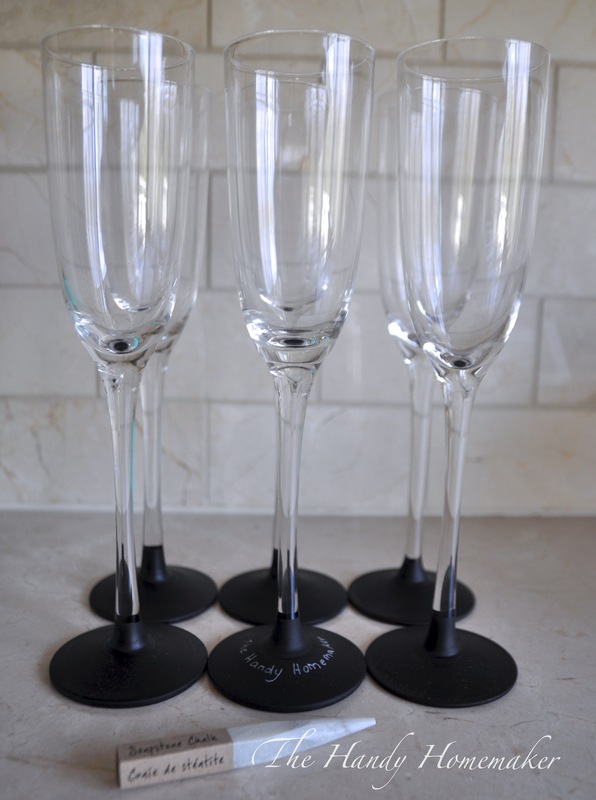 This DIY idea takes a great gift of champagne glasses to a whole other level of special. The gift receiver knows that your time, like theirs is valuable, and you chose to use it on them. These instructions can be used on any style glass. I hope you love this idea as much as I do. Here are her instructions. 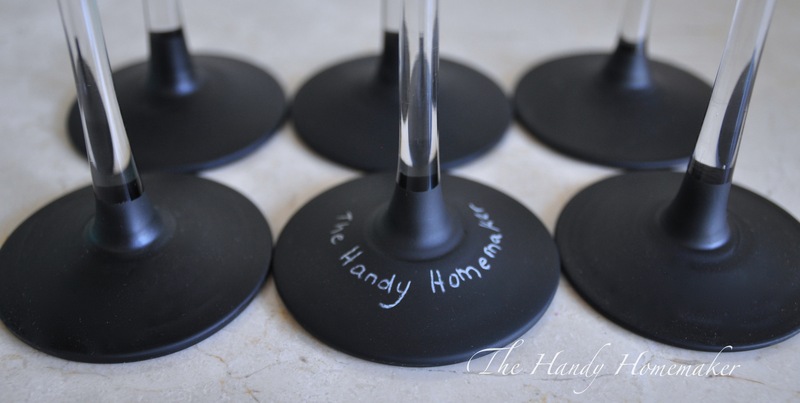 Clean the glasses with acetone on the area that you want the chalkpaint to adhere. In a ventilated area protect your work surface and spray one light coat over the base of the glass. Let dry completely overnight, remove the painters tape and clean any overspray with acetone. *These glasses are hand-wash only. Soaking them will mostly likely remove the paint. I love this Soapstone Chalk. I received it as a gift but they can be purchased at Crate and Barrel. Regular chalk will work just fine. For a chalk look that is permanent use a chalk marker.